The Brats have been indulging in their second favorite past time of trying out sweets for research purposes prior to Easter, and this time it's the turn of popular company Cadbury's. So, what did our two think of the alternative treats on offer? 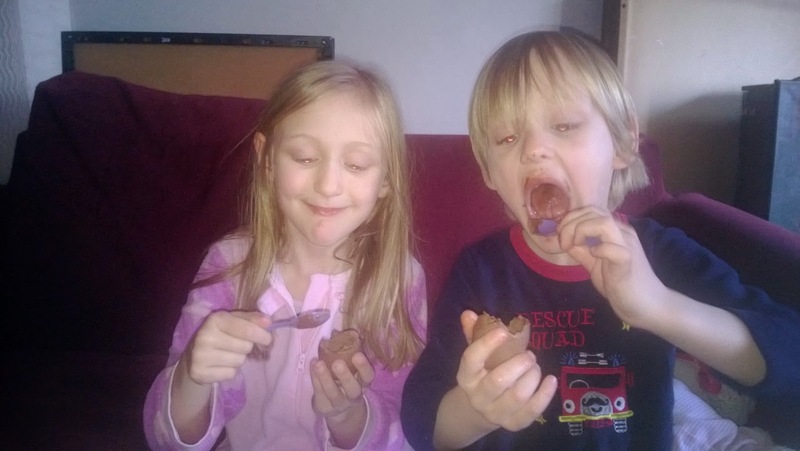 Sometimes, an oversized lump of Easter Egg is not what we want to encourage our little darlings to munch on, but how do we still give them a treat that is of a more sensible side? Well, Cadbury's certainly have the answer with their great Eggs N Spoon. These quirky chocolate eggs come in a pack of four, around the size of their Creme Eggs. The packaging is fun, made to resemble an egg carton (and can be reused for crafty kids too), and each pack contains two small spoons. They come in two different flavors, all chocolate or white fluffy middles. The idea is very simple but made Littlest laugh his socks off. You peel the wrapper off, and bite the top off, which is smaller than the rest and comes away easily, then you use the spoon to remove the fluffy middle. 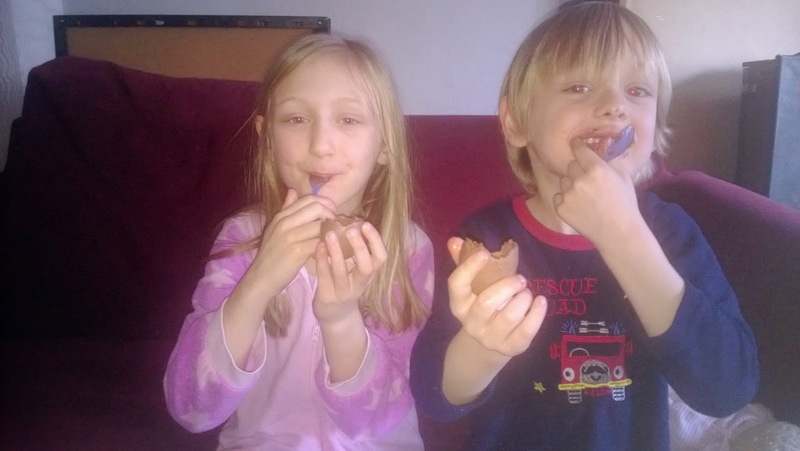 The Brats certainly enjoyed them, and they are a far more sensible treat for after dinner than the subsequent race to demolish a full sized Easter Egg. They aren't overly messy either. We also tried some Creme Egg Minis, and some Mini Eggs too- the colourful shells are great for using in table displays for Easter and they are bite sized too. I preferred the miniature Creme Eggs personally, I find that the full sized eggs can be a bit sickly sweet, whereas the kid focused Egg N Spoon were less sweet. At a cost of around £1-£3 depending where you shop, you can make a cheap Easter gift basket for the kids, giving them bitesized treats which wont lead to sickly tummies and which can be enjoyed over a few days. Cadbury Easter treats are available nationwide.